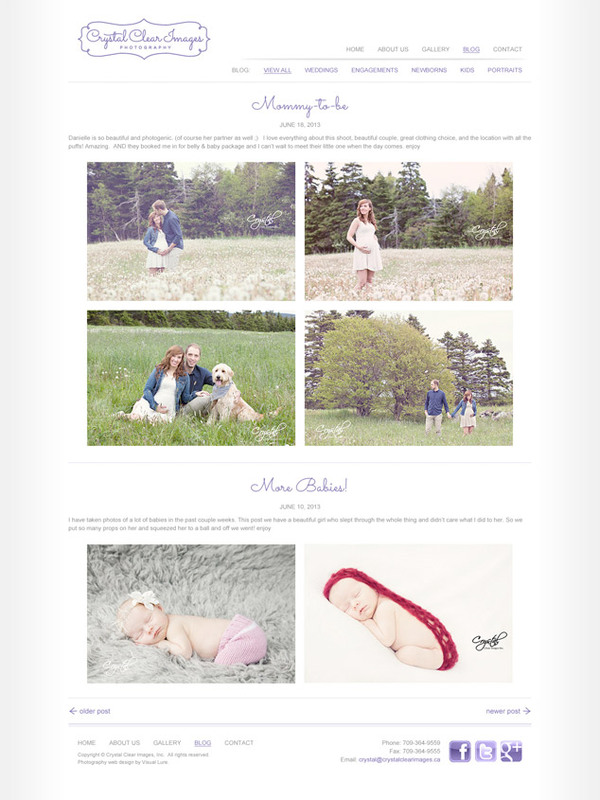 Visual Lure just launched a new WordPress website we designed for Crystal Clear Images, a talented group of photographers based out of St. John’s Newfoundland Canada. They specialize in newborn, children’s, portrait, engagement and wedding photography. We also designed their logo a while back. You can view that project by clicking here. The new website, as shown below, features a homepage with a custom administered slideshow and an automatic blog feed using featured images. The site was also built with a custom portfolio admin section making it extremely easy to edit and maintain. In addition to the design, we provided assistance and guidance to help the client start to develop a solid long-term search engine optimization (SEO) strategy. 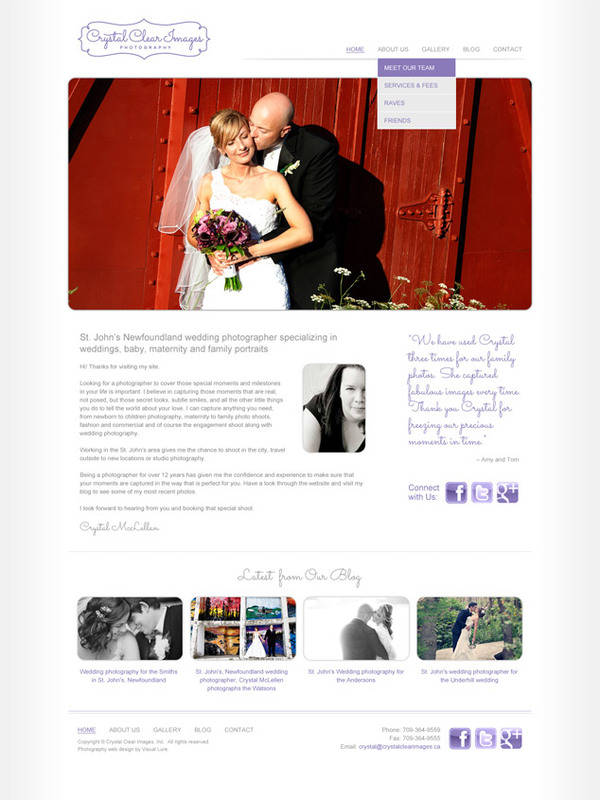 Check out the new website here: CrystalClearImages.ca. If you are a photographer looking for a search engine friendly, easy to maintain, fully custom WordPress theme/website give us a call today. We would love to help you improve your website and online presence.